This is a bass lure pure and simple and it's a lure that any folks in the south grew up fishing with. 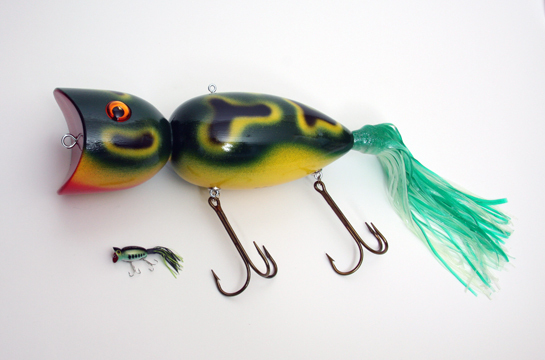 A big splashy popper that looks like a frog and drives bass nuts. It is modeled after the old wooden Heddon Hula Popper . My sculpture features handmade plastic eyes and a teaser tail that is made from actual marlin lure skirts.